With the NHL regular season right around the corner, TSN.ca profiles each team leading up to puck drop. Next up are the Columbus Blue Jackets, who are trying improve on last season's playoff campaign - provided they can get their No. 1 centre signed to a contract. Catch up on their summer moves and the issues they face this season, as well as Craig Button's analysis of their top prospect and an analytical breakdown by TSN's Scott Cullen. Last season was the most storied in the team's 16-year history. That seems like lofty praise for a first-round exit, but the Blue Jackets fought hard and got a consistent effort throughout their line-up to earn a playoff spot in the post-season. Things started ugly as the Jackets lost 10 of their first 15 games, including a pair of five-game losing streaks. Matters didn't get much better when Sergei Bobrovsky went down in early December with a groin injury. The team sweated out some wins under Curtis McElhinney and Mike McKenna and put the pedal down upon Bobrovsky's return. They won eight in a row from Jan. 6 to Jan. 23 and thrust themselves into the Eastern Conference playoff race, earning the Eastern Conference's first wild card spot. Though outmatched on paper, the plucky Blue Jackets pulled out a pair of dramatic overtime wins against Sidney Crosby and the Penguins in Games 2 and 4. They almost forced a Game 7, but the clock ran out on the season despite a three-goal outburst in the third period of an eventual 4-3 Game 6 loss. The Jackets saluted their rapturous fans from the ice but, more importantly, may have served notice to the league that they're for real. 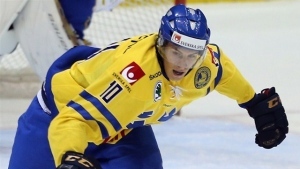 In just his third NHL season, 21-year-old Ryan Johansen found his stride. He emerged as the No. 1 centre the Jackets had been waiting for and piled in 33 goals without missing a single game. How that plays out this season remains to be seen. Key: GPG= goals per game, GAA= goals-against per game, SH%= even-strength shooting percentage, SV%= even-strength save percentage, SAF%= score-adjusted Fenwick percentage (differential of shot attempts faced vs. shot attempts, excluding blocked shots, adjusted for game score), PTS%= percentage of available points. Games 1-20: Strong goaltending wasn't enough to overcome subpar possession and shooting. Games 21-41: Goaltending dipped, but shooting skyrocketed, making them more competitive. Games 42-62: Best stretch of the season, with vastly improved possession combined with high percentages. Games 63-82: Scoring dried up, but goaltending and possession were strong enough to keep Blue Jackets in playoff picture. Building on last season's success is no easy task for the Jackets. A full year out of Bobrovsky is also key. He shone in the lockout-shortened 2012-13 season and was a spark-plug for the team upon his return last year. His save percentage prior to injury was .909, but he posted a .931 mark to finish the season. The rest is up to the development of their young core and scoring depth. Johansen had his breakout year, but second in team scoring was defenceman James Wisniewski with 51 points. The addition of Scott Hartnell from the Philadelphia Flyers is a huge character boost for a team that already has a lot of that, but questions beg about his on-ice performance. He brings grit and is always good for 100 penalty minutes, but have the Jackets acquired the 20-goal player from last season or was Hartnell's scoring talent buried by the Flyers' depth last year? He scored 37 in 2011-12, but at 32 years-old, expecting him to do it again may be unrealistic. 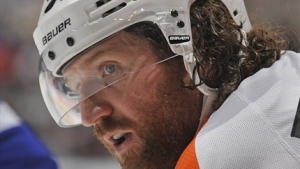 Hartnell does, however, provide leadership and a positive influence for the team's young forwards. Johansen, Boone Jenner, Cam Atkinson, Artem Anisimov, Nick Foligno and Brandon Dubinsky are all still in their twenties and could learn a lot from him. Alexander Wennberg is so fluid in his play. Excellent skater with the ability to move past defenders seemingly with ease. Can make plays with the puck at high speed and in tight areas. What should allow Alexander to be a top center is an outstanding sense of the game, offensively and defensively. He adapts to the situation and then takes advantage. Centre ice is a critical position in the NHL and a duo of Alexander and Ryan Johansen puts the Blue Jackets in a position for success. A physical forward with good size, Jenner earned a more prominent role late in his rookie season, scoring 15 points in his last 27 games (then five points in six playoff games), finishing the year on Ryan Johansen's wing. Jenner is still young, only 21-years-old heading into his second season, and it could be too soon to forecast an offensive breakthrough, but if Johansen gets signed and there is an opportunity to build on the foundation they were laying last season, then Jenner should continue to play a prominent role in the Blue Jackets' attack.